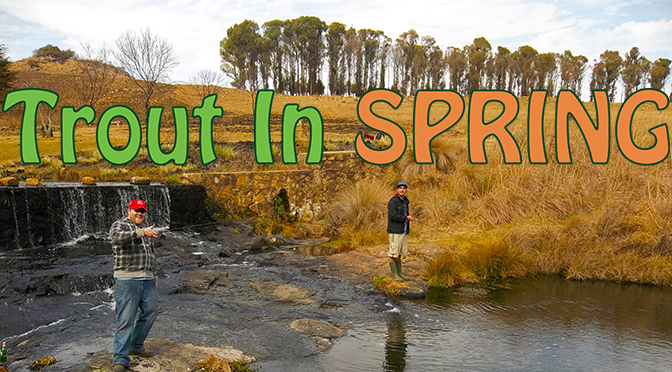 How To Catch Rainbow Trout In Spring Season In South Africa? Trout in Spring can be a bit challenging, and a lot of factors effect this. The fact that they could be in their spawning transition stage, rainfall levels and wind. So all the spawning has stopped, the trout have been feeding heavily and now the “conventional” stillwater fly fishing can resume once more. There is lots of activity during the Spring months and fishing can be difficult on some days. Fish Activity & General Habits During This Period? Mornings during Spring are often difficult to fish as not many hatches happen early morning in the Summer months, especially on the Highveld. The Rainbows generally feed and rise close to the surface just before sunrise and, on sunny mornings, will go quiet for about 30 minutes after sunrise. They feed in the dark picking off all the food items that might of drowned during the night that they hadn’t “felt” (with their lateral line) during the night time period. September, the month of Spring, can be really tough fly fishing, but October, November and December can be some of the most testing and difficult months to catch stillwater Rainbow Trout, as instead of aggravating them you now need to move more to imitating what they are currently feeding on. Damsel fly and dragon fly larvae are now starting to appear in stillwater systems in the Highveld, and these insects often have large midday underwater hatches, that many fly fisherman cannot see in deeper dams, weirs and lakes. It is during this time when the Rainbows hug the weedy bottom of the stillwater systems in anticipation of these hatches. 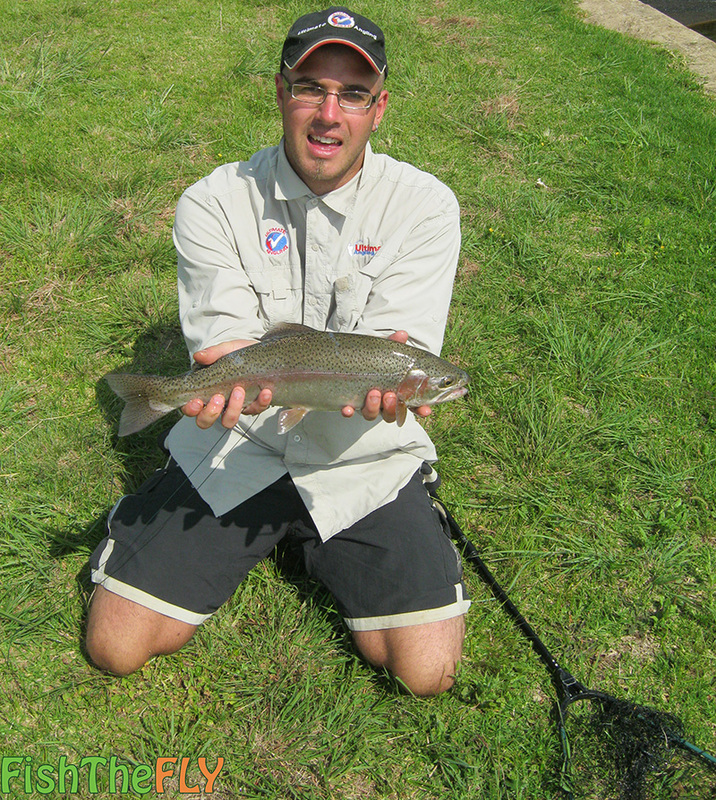 Surprisingly the middle of the day can produce some of the best Rainbow Trout catches and action, during the hottest hours. Dr. Tom Sutcliffe once said something to the effect of; the hottest times of the day, when most are having lunch or a nap, can be some of the most productive. Please do not quote me on that, but the fact is he was trying to get the point across (And I completely agree here), that fly fishing in the mid-day sun can be really rewarding. 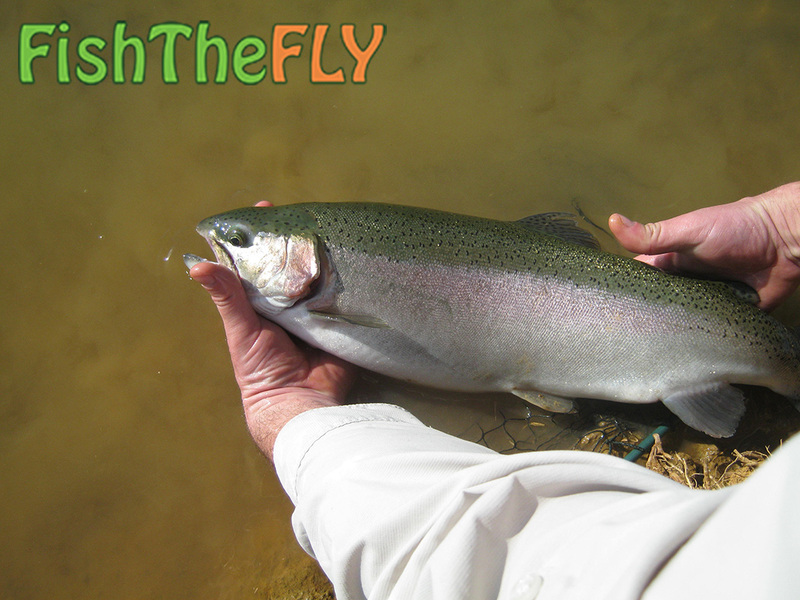 This can be some of the most frantic action a fly fisherman can be involved in. 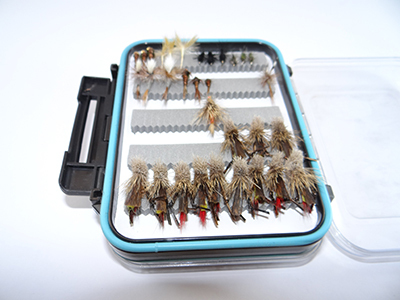 Spring and early Summer hatches are not as big as mid summer hatches in terms of the amounts of water insects hatching, which makes it easier to catch fish during this period, compared to mid summer hatches which happen in their thousands. Hatches can happen between 4pm and 6pm and even well into the early dark hours. All sorts of insects are hatching during this time, they are mainly “nymphs” which could be any insect in truth, as the term nymph is often given to an emerging insect larvae. What Techniques To Use & When To Apply Them? Early morning, as mentioned above, can be tough. Your best bet it to fish a light tippet, no more than 5lb, with a large dry fly before the sun comes up. After that you should try look for a reaction bite with floating line and a attractor fly such as an Aggravator Nymph, with a quick jerk-pause-jerk retrieve. Alternatively an intermediate line with a natural pattern such as a Mrs Simpson or Walkers Killer retrieved in a “figure of 8” style just above the bottom. With the hatches going on, light tippet on a floating line should be used here. Small dry flies, nymphs and emerger patterns and imitations are the way to go during this period, it can be frustrating if the hatches are large, so you have to keep changing flies until you find one that is working, or keep making your leader longer and your tippet weaker.. When the light starts to fade, a small black wet fly retrieved on intermediate or floating line quickly will often produce a few fish before the light fades completely. Colours: Black, grey, orange, olive. Colours, white (during hatches) brown, grey, black. 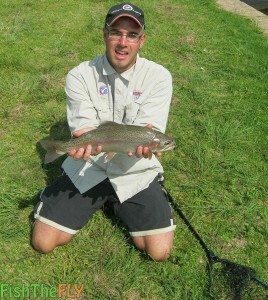 All the best for targeting these Spring Trout, remember perseverance pays off!